According to StatCounter report, Google Chrome is one of the most used web browsers worldwide. The factors which make it the most used web browser are; quick performance, sharp interface and the feature of easy connectivity with the mobile devices. 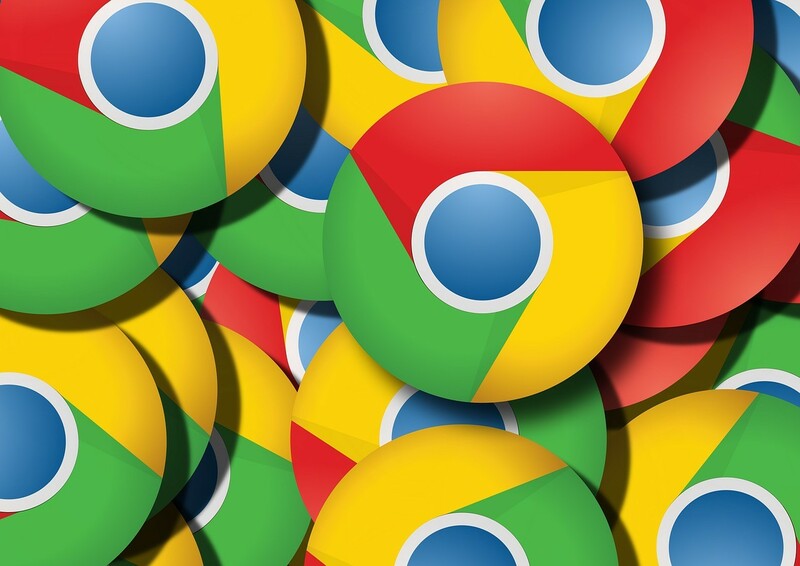 Apart from these features, Google Chrome offers us some extra benefits in the form of Chrome extensions. HTTPS at the beginning of the website name refers that the website is safe to visit. But, these days all the websites are using this in their link. So, it becomes hard to determine the authenticity of the particular website. If you want to visit the safe and authentic website, then get HTTPS over Everywhere Chrome Extension for yourself. This Extension rewrites the request send by you in the Chrome so you can get access to the secure website. The browser makes sure that your personal information stays safe and your system won’t catch any malware when you are online. With the 2.1 million users this is a trending Chrome Extension. J2Team Security isn’t your regular firewall protection tool, it starts with the basic virus protection. But, also offers you the advantage of customizing the website blocklist to make sure that you only visit the HTTP security website or blog. This Extension keeps the security tight on your system. Moreover, J2Team Security Extension comes with a couple of Facebook special features like hiding the seen tag after you read the certain message or hiding how long you have been active on Facebook. With over 175K users, this is security savvy Extension. Do you want to your Twitter and Facebook posts to rank high, then you need to use the tags in the right way in your posts. To select the right tags, you can use the RiteTag Chrome Extension. This Extension shows that how your selected hashtags are going to perform, once you log into the Extension using your Facebook or Twitter account. RiteTag judges your hashtags in real time and uses color codes to notify. Like, if your hashtag is green, then your tags are good for the current period, however, if hashtag turns blue, then it will likely to perform in the future. Similarly, if your hashtag goes grey, then it means engagement is low for the hashtag, but if it turns red, then engagement is very high for the hashtag, in both cases, you have to pick new hashtags. Currently, 22 thousand users are using this Chrome Extension. If you are a big-time fan of Pinterest, then in 2019 get the Pinterest Chrome Extension for yourself just like 10+ million other users. This Extension allows you to save all your favorite pins to Pinterest board without going anywhere else. The coolest thing about this cool is that it shows you multiple pinnable items on the website, which you save with one click. For the SEO marketers, MozBar is a very helpful Chrome Extension which shows them the SEO features of any website without leaving your browser. This tool enables you to see all the SEO ranking and link codes of the websites shown on the Google page result. So, you won’t have to do much to understand the SEO rank of your competitors and your website. Plus 546 thousand SEO marketers are already using this tool daily. I recommend the Mozbar Tool more than any other tool if you are in the field of SEO. This Extension quickly sorts out all web pages and recognizes links which are coded with Nofollow metatag. Nofollow links aren’t crawled by search engines and don’t contribute to search engine authority, so SEOers can use this extension to determine if external sites are backlinking to them with followed, or indexed, links. Moreover, you can use NoFollow link to crawl to all those pages which you won’t visit regularly like thank you page to check the code syntax. Well, 70 thousand SEOs are already using this tool, are you using NoFollow? If you want a detailed guide, I recommend reading a guide on Dofollow Vs. Nofollow links. Well, if you get swamped by numerous useful tabs when you are searching for the content, but the real problem occurs when you want to go back to the link for reference. This clutter of tabs might make your work very difficult. So, here the OneTab Chrome Extension comes as a boon for you which enables you to put different URL in the single tab for quick future reference. Already 1.9 million users have made their browsing experience easy by adopting this tool. There is nothing much to explain about this tool as its name tells everything clearly. This is tool offers you the plain blank page when you open your web browser. Today, numerous web browsers and tools offer a different style of home page to browse whenever we first open the tab. But, if you want clean blank tab whenever you open your Chrome browser, then this Extension is useful. This simple and clean Chrome tool has been used by 33 thousand people. Infinity New Tab Chrome tool is like a speed dial button on your phone from where you can quickly browse the latest websites searched by you. Here, the tab with the large icon of your latest opened websites is available from where you can quickly search the websites. Moreover, the website’s icon can be customized according to your preference where you can add websites icon which you frequently open when you launch the new. The Infinity New Tab is trusted Chrome Extension of 156 thousand users, so if you haven’t started using this tool yet, then start from today. Well, this Chrome Extension won’t ease out your web browsing experience in any way, but will just beautify your web browsing experience. With this Extension, you can enhance your world geography knowledge bank while surfing on the web. This tool will open up the tab with the beautiful satellite view of some place from the Earth. The majestic and magnificent view will open up in front of you whenever you search for something. To make your children feel the magnificent view of the earth and to encourage them to learn geography this is a great tool. Already 1 million users are using it. Best Google Chrome tools/extensions for SEO. Well, using Chrome Extension might make the browsing process little slow, but if you have installed the correct extensions on your browser, then you can improve your performance and security tremendously. That’s why in 2019, pick the correct Chrome Extension and smooth out your browsing experience. Domain Name Generator tools to find a Perfect Domain for your website? Chromebook guy here Robin. Save Pinterest, all are new to me. Super list. Thanks for being here and leaving a comment. But I must say that getting a link after a long or with much efforts is worth the effort. Although, If you find people using WordPress along with the plugin Broken link checker. Then you can easily find the broken links on the WordPress sites. And have a good weekend.